An ideal first introduction to winter walking, giving you an opportunity to see the benefits and fantastic experiences winter hill walking has to offer whilst acquiring a few skills along the way. Run as one 6 hour session in either Cheviots or the Lake District. For the 2 day winter hill walking taster session we are able to visit two different venues. This allows us to cover different terrain on each day, reach a wider variety of locations and have even more fun. 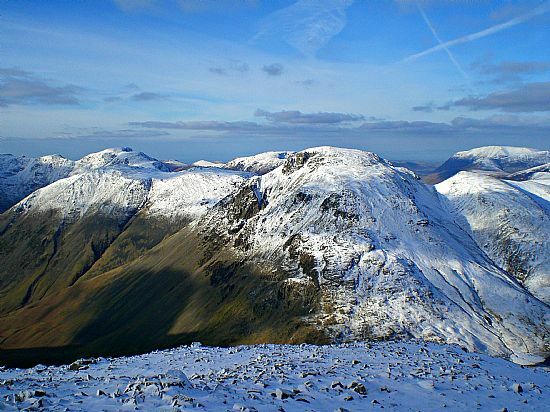 Run as two 6 hour sessions in the Lake District. 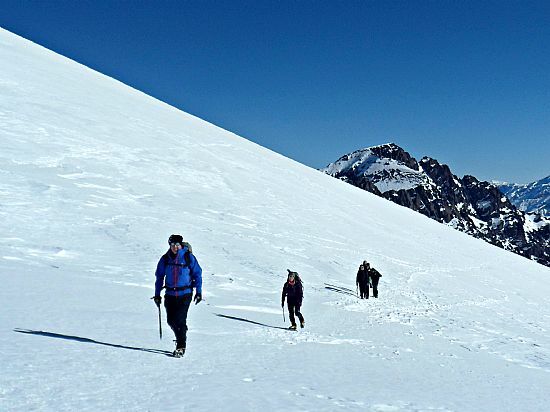 Suitable for beginners looking to take their first steps out on to hills in winter and learn the necessary skills required. Covering all of the essentials of route planning, navigation, weather, equipment and avalanche awareness. 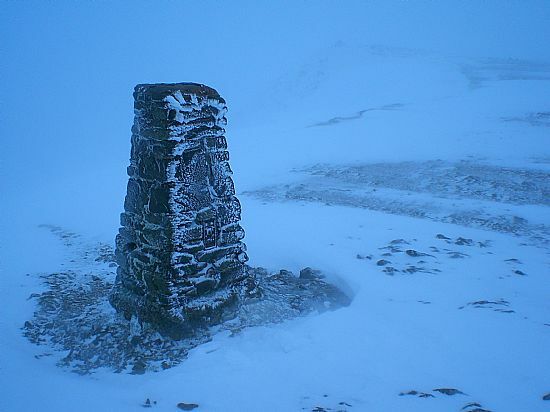 Run as one 6 hour course in either the Cheviots or Lake District. As per the 1 day introduction to winter hill walking skills course however being run over 2 days allows a greater depth of content to be covered, additional practice of crampon technique and two different venues to be visited. 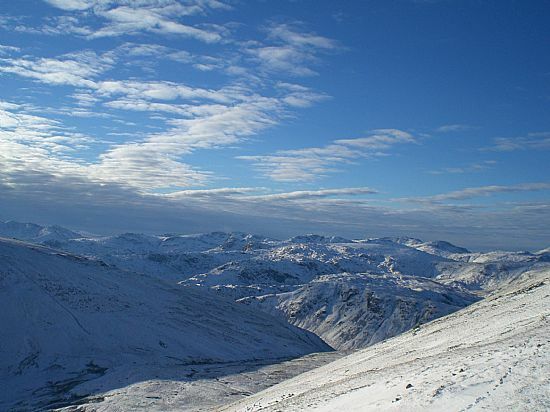 Run as two 6 hour courses in the Lake District. For those who have already experienced winter hill walking but are looking to improve and refine their skills. 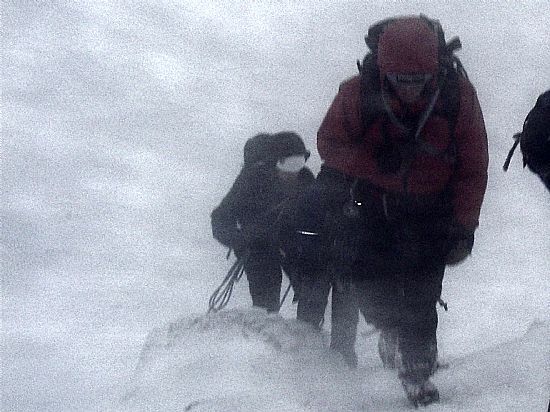 Covering aspects of navigation, weather, route planning, equipment and avalanche awareness. Run as one 6 hour course in the Lake District. As per the 1 day improver winter hill walking skills course however being run over 2 days allows more content to be taught, added practice of techniques and two different venues to be visited. 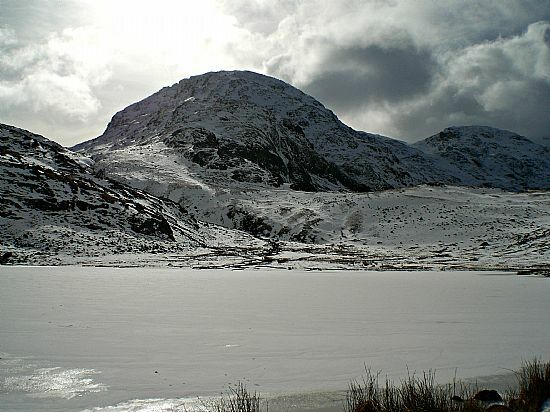 Run as two 6 hour sessions in either Glencoe or the Lake District. 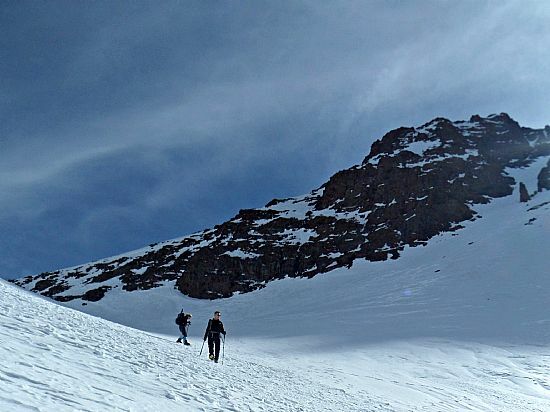 For those looking to get to more remote winter mountainous areas, away from the obvious navigational features and on to more difficult terrain to experience a more adventurous day hill walking. Run as one 6 hour course in the Lake District. For the 2 day advanced hill walking skills course we are able to visit two different locations, giving us more opportunity to practice techniques and to teach the content in greater detail. 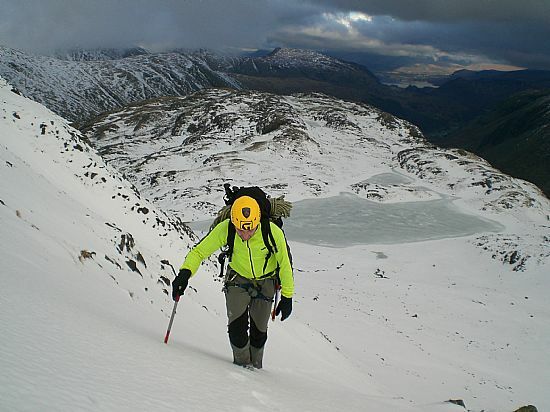 Run as two 6 hour courses in either the Lake District or Glencoe. Winter courses are provided throughout January, February and March to ensure that conditions are suitable. Get in touch and let us know if you have a preferred date. You can download an equipment list for the winter courses showing what you will need to bring with you and what Climb GB will provide. The map below shows the venues Climb GB uses for winter courses (Orange markers) and easy to find meeting places (Blue markers). For all sessions in the Cheviots (Northumberland) we will meet in the village of Powburn, for the Lake District we will meet in Keswick and for sessions in Glencoe we will meet in Glencoe village itself.